One day, shortly after I finished my class, my dear friend Jane invited me over for a glass of wine. It was spur of the moment and I was so happy to be free! I have had to turn down too many of these invitations the last few months. Before going over, I gave her fair warning that I planned to overstay my welcome because I was so happy to be out socializing! Being the friend that she is, she didn’t mind (at least she didn’t kick me out) and in fact, made me a wonderful dinner! Jane is vegetarian and is serious about her vegetables! She is one of those very organized people who comes home from the store and washes and prepares most of her produce so it is ready and easy to use. This is key to avoiding waste and having healthy meals at your fingertips! The pasta salad she made was unlike any I had before. 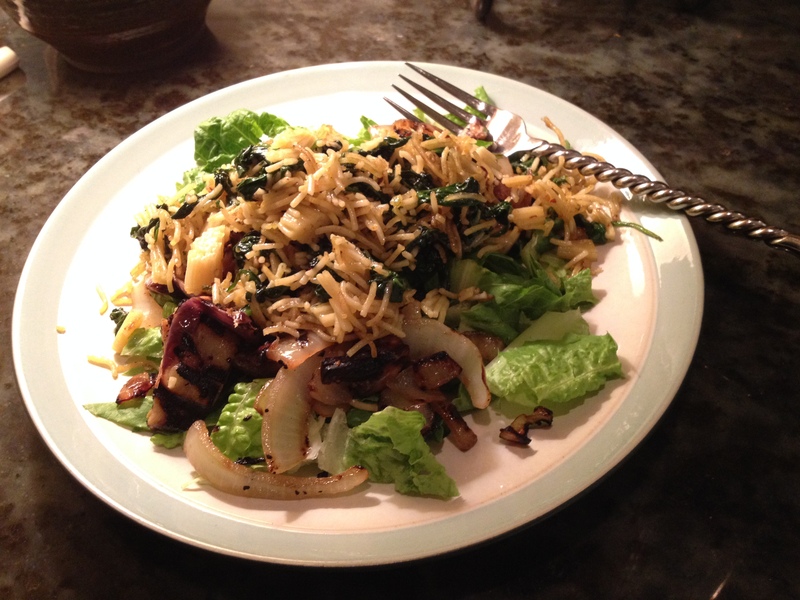 It was fresh, with warm grilled vegetables and topped with sautéed gluten free pasta. Lots of garlic gave it a very satisfying flavor! Basically, slice the eggplant and douse it with lots of garlic and olive oil before grilling. 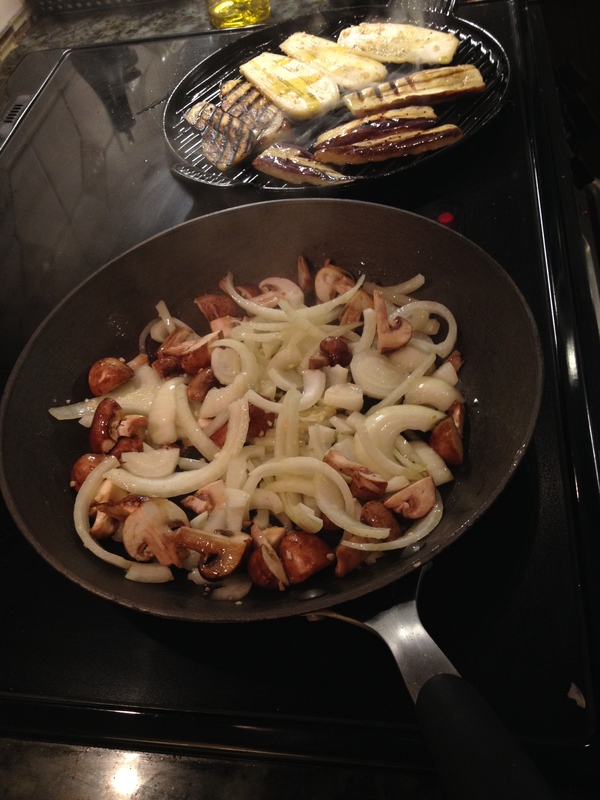 Slice the mushrooms and onions, and sauté them until the onions are browned. 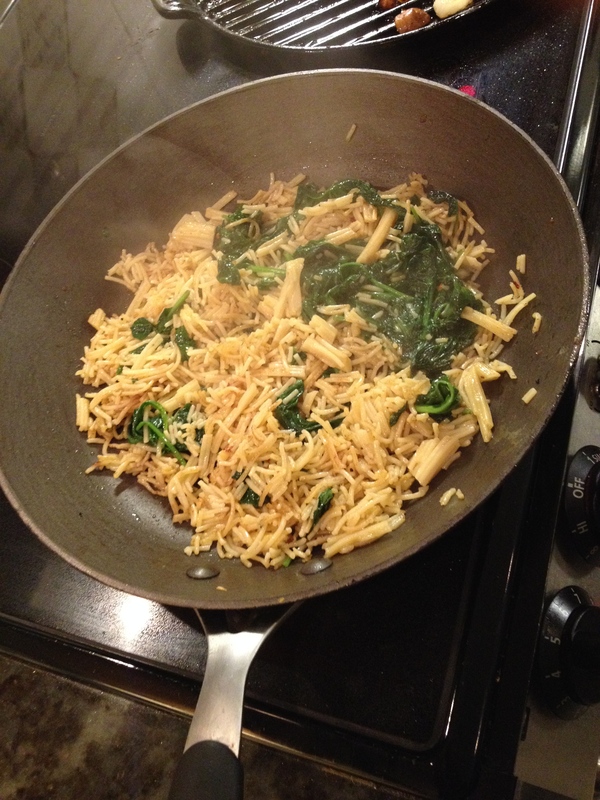 Set these aside and add more olive oil to the pan before adding the precooked pasta and the greens. Jane likes to crisp the pasta a bit for a little crunch. Finally, toss these all together and serve over fresh romaine! 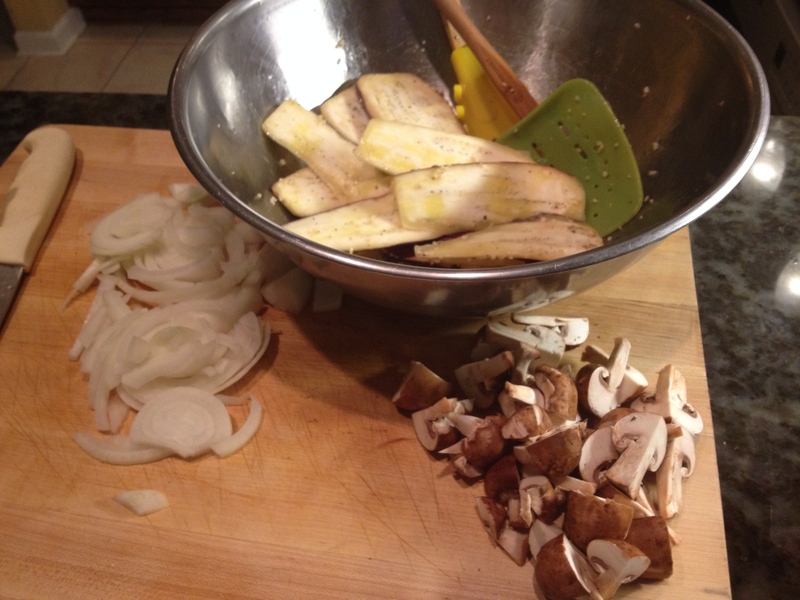 It is amazing how quickly a meal can come together when you have fresh ingredients on hand.